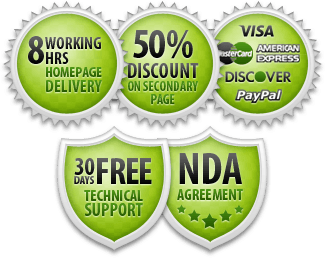 Hire a provider of PSD-to-HTML conversion services. And here comes another question: Which option is the best? In fact, there is no all-purpose choice to suit every situation. Really, people and circumstances are different. Some of my friends-designers agree with marketing guru Tom Peters: nowadays design is one of the most essential competitive differences that can set products (and websites) apart from other commoditized rivals. A designer is becoming a central figure in website success. And she/he should be completely concentrated on design because very few people can be a universal genius like Leonardo da Vinci. Others say that web designers should know not only the color theory or graphic techniques but also design slicing, HTML coding, content writing, SEO, and marketing. Only in this case designers will create something really effective in the present-day Internet. For me every website element should be well-designed: website concept, its structure, graphics, layout, markup, and content. The deeper designers know respective phases and website development operations the better, because she/he can see and control the process in whole. But it doesn't mean that designers should do all the work themselves. ... HTML/CSS is easy for you or when it looks like mumbo-jumbo? When there is a long line of clients or only few orders? When you design an experimental site for yourself or an important custom work? When there is a large budget or tough times? These situations obviously require different solutions. To be effective, we should be flexible. It is difficult to be a universal genius but it is possible to have a universal (or almost universal) knowledge base and manage the process. 1. 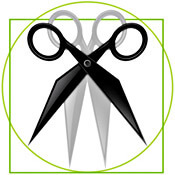 Collect information: Tutorials, reviews of automated conversion tools, and lists of PSD-to-HTML providers. To keep track of new developments, Google Alert can be of very useful assistance or just regularly visit such sites as noupe.com, designm.ag, tripwiremagazine.com, csstea.com, just to name a few. Speaking of tutorials, gather not only the newest techniques and CSS tricks but older materials too, because they may contain gold nuggets of information. 2. Try them and make your own lists. Select tutorials, automated tools, and providers that are the most useful, efficient, and comfortable for you. It takes time but it pays off. Moreover, one day you can publish your own lists entitled "Practical Collection of PSD-to-HTML Tutorials" or "My Favorite Design-to-HTML Services." Risk management considerations: if you urgently need to convert your design and the primary provider is overloaded, you will have a reserve option. Providers can have strengths in different fields, for example, one is more proficient in WordPress development, others -- in Drupal or Joomla implementation. 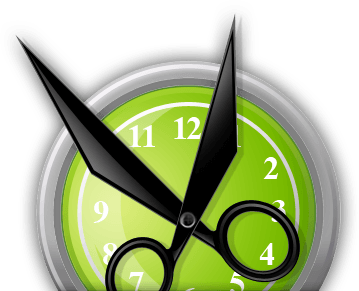 Services and your requirements to them (as well as functionality of automated tools or perceived importance of tutorials) change over time. Check out selected providers yourself. It is not out of place because what was the best for someone might be not so good for you. 3. Evaluate project circumstances: scope of work, urgency, project requirements (including W3C standards compliance, browser compatibility, semantic coding), project importance, budget, your level of HTML/CSS knowledge, and so on. Then take your lists and choose an option or their combination that is the most effective for you in this concrete situation. Each of these options -- Do it yourself, Use automated tools or Service providers -- can be a good solution to convert PSD into HTML. But no less important is that there are different alternatives available for choice. Really, to be flexible and succeed -- that is the best option. 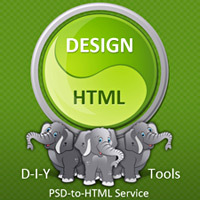 Natalia Savchenko is a proficient web designer at HTMLcut.com, the leading PSD to HTML provider. All copyrights and trademarks mentioned in this article are owned by their respective owners. This article may be distributed without limitation provided the content stays intact, and the information about the author (the resource box) is attached and NOT changed, including all links. All images in this article are copyrighted.